The vines are cared for and treated naturally and the soil is laboured so that each vine gradually attains its optimum maturity, technicality, aroma and phenolic content. Precise winemaking techniques: the harvest is sorted then converted and aged in a temperature-controlled, ergonomic, low energy wine store. 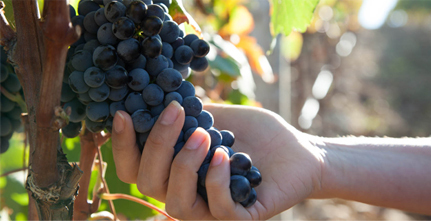 A major part of our job is to constantly observe and taste both grapes and wine. The terraced vineyard spans a hundred hectares and is part of a hilly estate of 850 hectares. With a peak at 300 metres above sea level, it benefits from the warmth of the Mediterranean and the sea air helps keep temperatures bearable in summer. The estate’s soils were mapped and the vine varieties planted accordingly in 2005. We use mostly local grape varieties: Syrah, Carignan, Grenache, Mourvèdre and Cinsault. 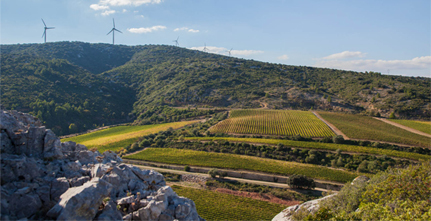 The location is subject to the constraints of the Mediterranean climate (hot, sunny, dry summers and precipitation during the other three seasons) and Château de Lastours is often buffeted by the Tramontana winds. 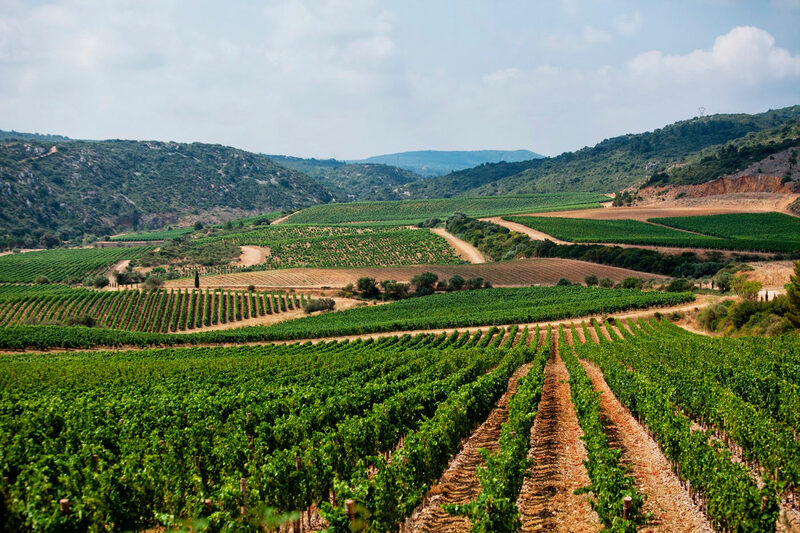 This Mediterranean influence, combined with a clay-chalk soil, is ideal for making great wines.